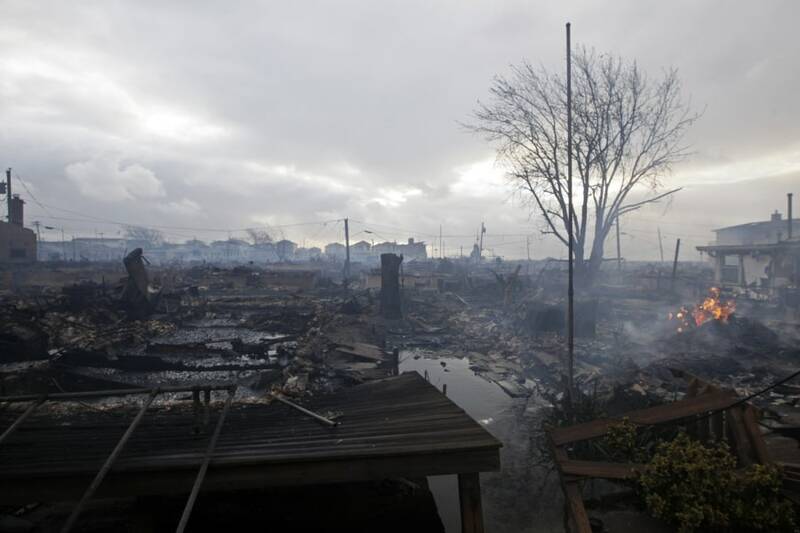 People survey the damage Tuesday to homes devastated by fire in Breezy Point, Queens. 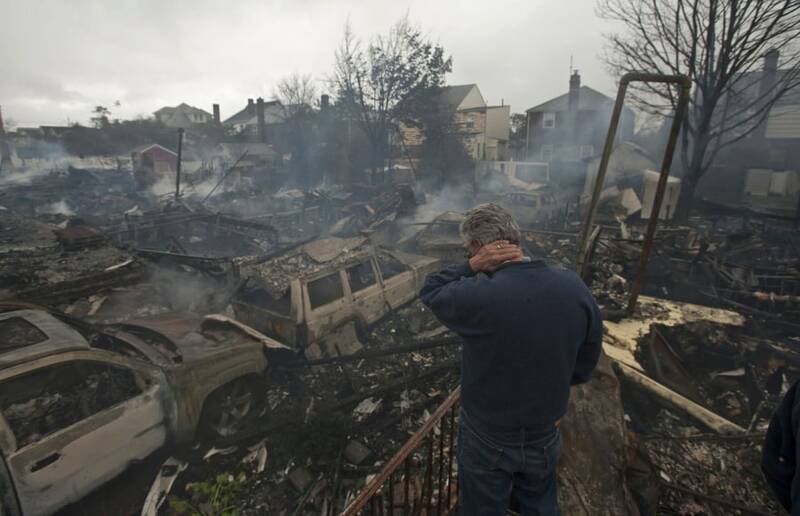 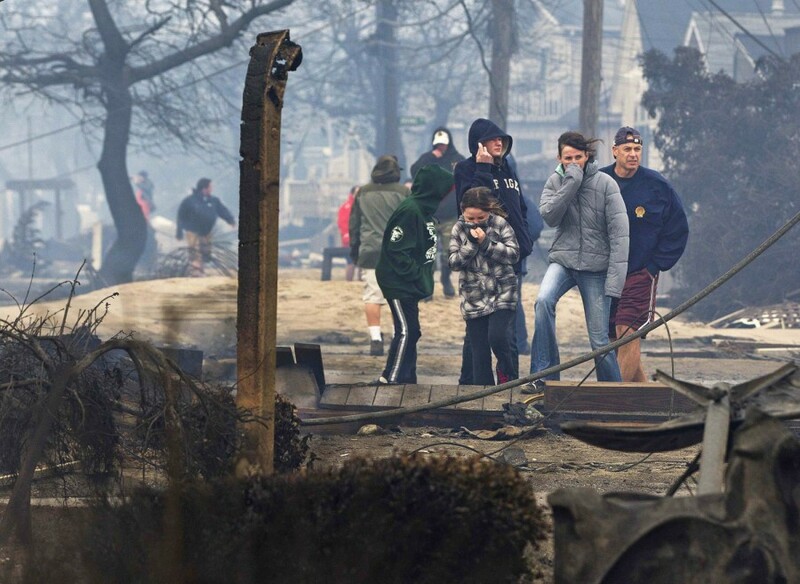 A resident looks over the remains Tuesday of burned homes in the Breezy Point neighborhood of Queens, N.Y.
NEW YORK -- At least 50 homes were destroyed in the New York City borough of Queens early Tuesday as crews continued to battle a six-alarm fire into the daylight. 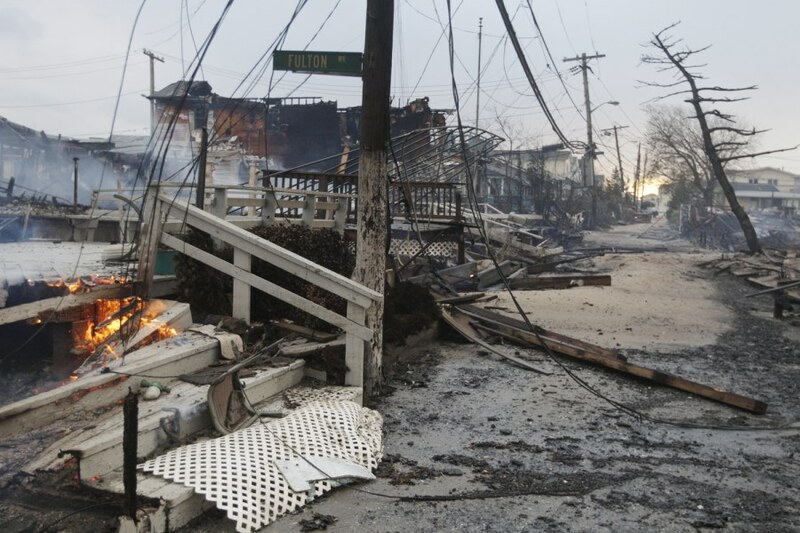 Damage caused by a fire at Breezy Point in Queens, N.Y.
Damage caused by a fire at Breezy Point in Queens, N.Y. is seen Tuesday morning. 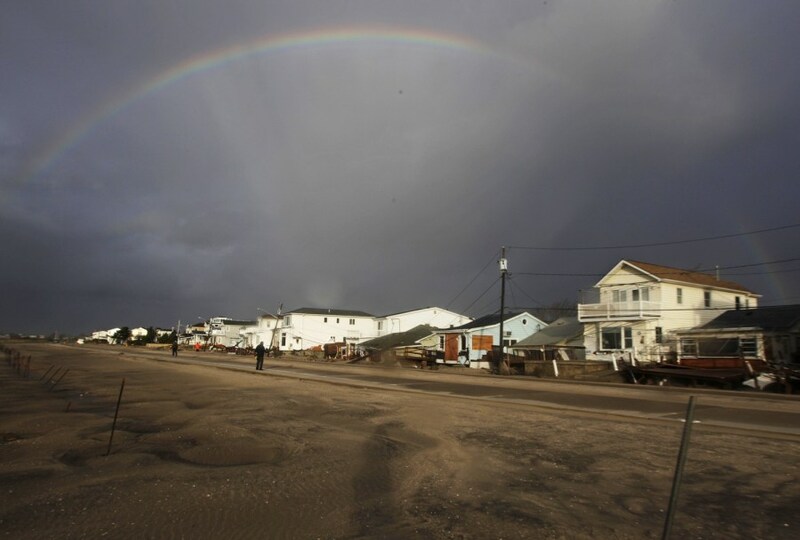 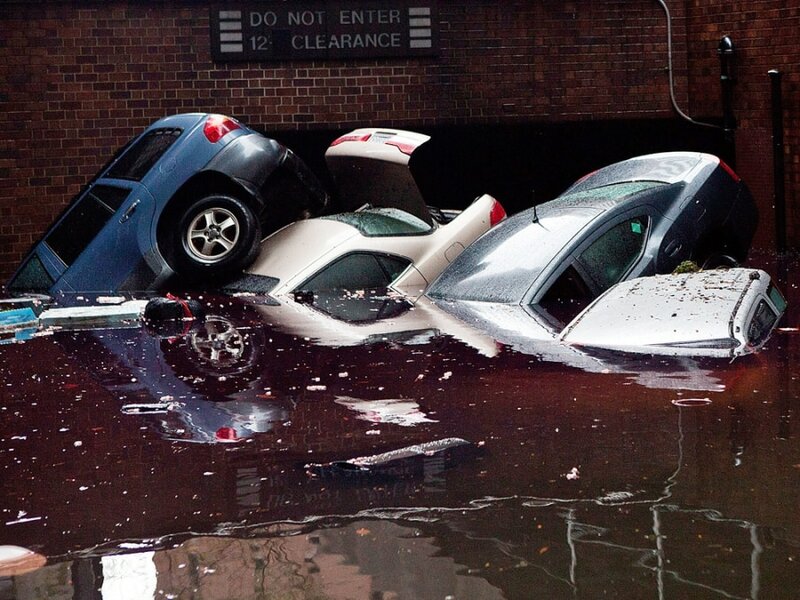 A rainbow forms over Breezy Point in the New York City borough of Queens in the aftermath of superstorm Sandy on Tuesday morning. 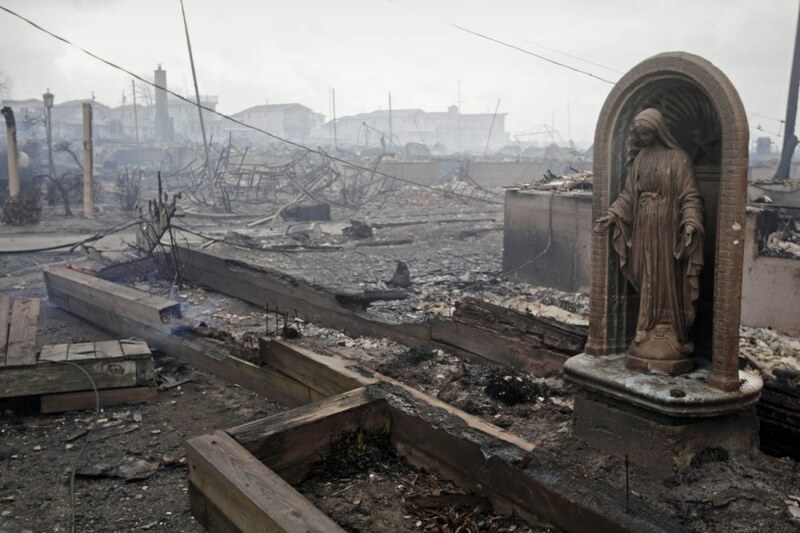 A statue of Mary is left behind after a fire in Breezy Point, Queens, N.Y.